Over the past month, four stories about the entertainment industry have made a deep impression on me. 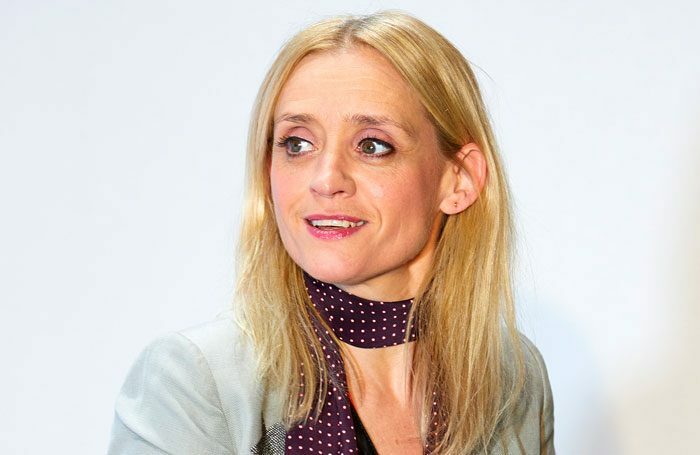 The first was Anne-Marie Duff candidly talking about her struggle with stage fright on BBC Radio 4’s Desert Island Discs. A few weeks later, Broadway leading lady Patti Murin – currently Princess Anna in the Disney blockbuster Frozen – found herself suffering an anxiety attack that forced her from being able to perform that evening. Then there was the death of 28-year-old Swedish DJ and musician ‪Avicii‬, who, his family said in a statement, “could not go on any longer” and described him as a “fragile artistic soul”. ‪Avicii‬ himself had been open about his struggles coping in the limelight. It culminated with last week’s front page story on The Stage reporting on four West End stars’ experiences of anxiety and depression. These examples offer a small but honest snapshot of the personal pressures on those working in our industry. That these conversations are happening is a significant advance in both the recognition and understanding of issues that have – for far too long – been an elephant in the room. It also highlights that these illnesses can strike anyone suddenly and unexpectedly and that they need proper attention, care and support. It has been refreshing to read Disney’s supportive response towards Murin. But Frozen, like many of the other headline musicals, is a brand in itself where the title is as strong as the star. But what if the show was sold on a star name? Days into the West End run of Cell Mates in 1995, Stephen Fry’s sudden disappearance resulted in the production’s closure and heavy financial losses. It was initially believed Fry had suffered stage fright but he later revealed that he has bipolar disorder. The play’s author Simon Gray described Fry at the time as “cowardly” and went on to write about the whole experience in his book Fat Chance. We have come a long way since then, but would a similar situation today – where the star name is considered crucial to the show’s success – elicit the same level of sympathy from producers as that shown to Murin by Disney? Individuals will often hide mental health issues, worried that in a small industry it may work against both their current and future employment, so it is not always easy to pick up, let alone offer support. Yet there is a need for industry bodies to better understand the issues of mental health in the workplace, and improve the access to and quality of counselling for those affected. They also need to lobby insurance companies for more favourable terms that afford greater protection to producers and theatres left at risk of devastating financial consequences from the loss of an artist in this scenario. Currently, to insure against such an event can be prohibitively expensive – if insurance is even available. The constant pressure that people in our industry put themselves under can have a negative effect on their mental health. How this can be better addressed remains one of the biggest driving issues for the arts. Theatre is a densely overpopulated profession fuelled by passion and many have had a hunger to work in it from a young age. But it’s also filled with rejection and has no assurance of success. For those who do succeed, and maybe even find stardom, their life can be changed for the better, but they can also become increasingly lonely as expectation increases. In contrast, for those who feel like their career is flatlining, a sense of depression can set in. This is a business that requires a skilful balancing act where the art of survival is arguably as important as talent itself. In preparing their students for a stable career, theatre training must include more detailed advice about how to cope with working in what can be a highly rewarding but very tough industry. An awareness of the potential issues, and a duty of care, is needed to support the mental health of individuals working across the industry from backstage to front of house. It’s great that people have been able to talk about the issues openly in recent weeks; let’s ensure the environment is right for more to come forward, and to receive the support they need. ArtsMinds is a collaboration between the British Association for Performing Arts Medicine, Equity, The Stage and Spotlight, and aims to help people in the industry suffering from emotional stress and mental health challenges. The website, artsminds.co.uk, includes helplines, advice and techniques. Judy Hegarty Lovett: Why put Beckett's novels on stage if they were meant to be read?